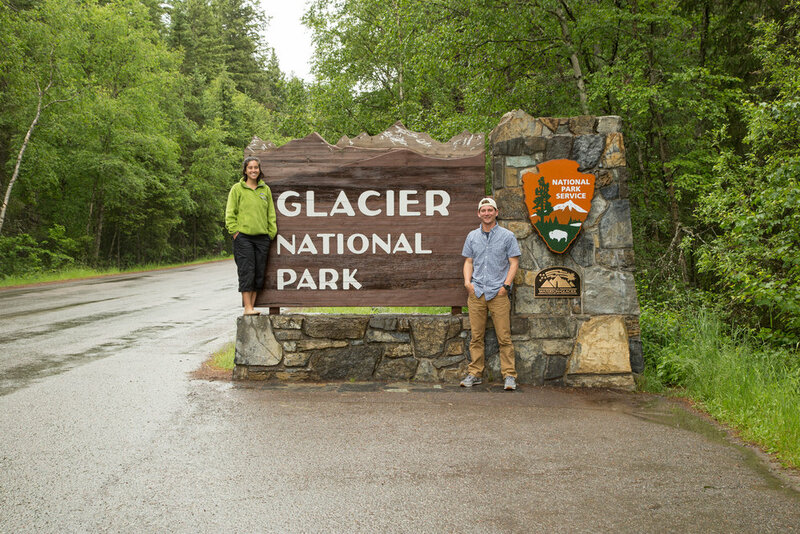 We were selected through a nationwide contest to represent LifeProof on a 15-week road trip throughout the western U.S. The mission? To break for adventure. 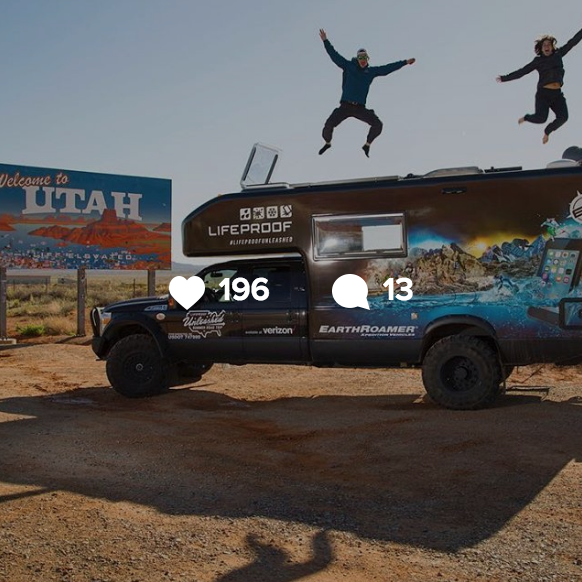 We were hired as content creators tasked with representing LifeProof and its partners during its 2016 branded campaign, the LifeProof Unleashed Summer Road Trip. The company selected us from more than 500 pairs throughout the United States who applied for the opportunity. In addition to representing the brand at various events, we provided real-time updates to LifeProof's audience via their social media channels and created branded photo, video and written content for their marketing team to use to promote the company's products. Submission / In order to be considered for this position, we co-produced a video that showcased our skills and experience. Together, we wrote and recorded a dynamic voice-over and cut together video footage we had shot previously for clients and our own personal projects. 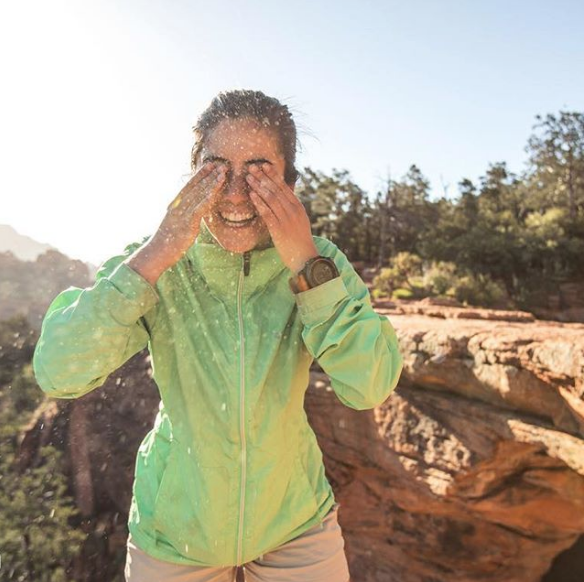 Because the LifeProof brand promotes a high-intensity, do-anything attitude, we wanted to pull from their visual branding strategy and incorporate these same elements into our submission. Interview / Once the pool of entrants was narrowed down to six pairs of finalists, LifeProof flew us out to their headquarters to undergo a rigorous two-day interview process. Prior to the meeting, we drafted a marketing plan and created a sample shot list, which we pitched to the company's creative, social media and public relations teams. Traveling from glacier-capped mountains and alpine lakes to sandstone arches and sun-bleached prairie, our itinerary took us from the Pacific to Austin, TX. It's called an EarthRoamer and it's basically everything you could ever want if The Walking Dead ever becomes real life. Meet our trusty steed of choice. Meet our road tripping steed of choice. Sometimes, when capturing a photo, you need to take a calculated risk. Here is how I got this shot! Think the Valley is the only place to camp for the night in Yosemite? Think again. 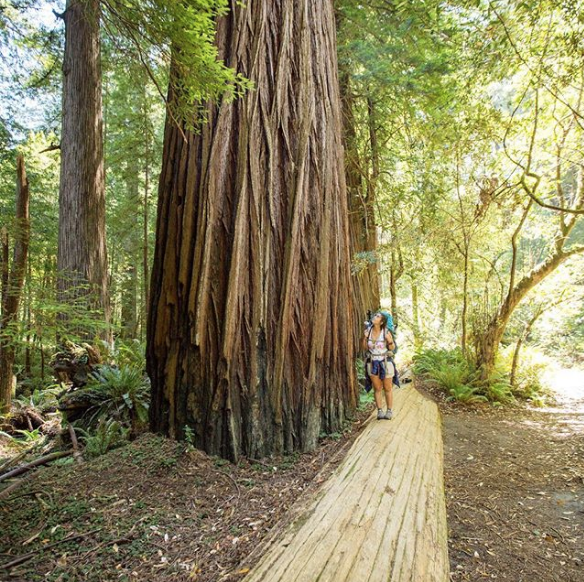 Here's a quick rundown of what you need to know when planning your visit to Olympic National Park. Best hike in Olympic National Park? We think so. This place isn't just for viewing; you earn it. Don’t forget to send a subtle thank you to good ol’ John D. Rockefeller for making this experience possible. If you're the type of camper who wants to get away from it all, this is the place for you. Rally Ready Driving School sits on 140 acres just 15 minutes east of Circuit of the Americas. It has wide open pastures, perfect for beginners like Matt and me, as well as narrow tree-lined rally stages with jumps, crests and blind corners for drivers with more experience. I think we may have just found our new favorite National Park. Matt and I prepared ourselves to float roughly 2,000 feet above the city of Albuquerque in little more than an oversized picnic basket. Valley of the Gods, though similar to its neighbor Monument Valley, is perhaps a more striking example of the hidden treasures one can find tucked away throughout southern Utah. This morning, we officially hit the road with roughly 50,000 miles on the vehicle, nine bags of luggage (more than 100 lbs. of which was camera gear) and two very excited people. This might just be our coolest update yet.